Rodgers was not happy when he given the news that he is not medically cleared to play against Dallas. Sources claim that Rodgers preached his case to McCarthy and the medical staff. Rodgers claimed he knows the risk. Various media outlets like the NFL network, Fox Sports, CBS sports, and ESPN all reported that the Packers medical staff are ultra conservative. Normally, I would agree with them to keep Rodgers out. This time they are wrong. The reason why they are wrong is because every year if you have chance to make the playoffs you have to go for it. Rodgers realizes that. Every year you have a different team. Anything can happen if you get into the playoffs. 2010 comes to mind. The saying there is always next year is a ridiculous saying. The Packer organization has been devastated by injuries over the past few years. Who thinks that won’t be the same next year? It has become a trend in Green Bay. If we lose against Dallas the season is over. Sure, we can play Rodgers the rest of the season to gain some momentum going into next season. What happens if Rodgers gets hurt again next season? Football is a dangerous game and when you sign up the risk of getting hurt is always there. Being conservative only leads to doubt which is trouble in a locker room. The Packers need to understand it took nearly thirty years to win a Super bowl from our glory days in the 60s. Part of the reason why we didn’t have success for such a long time was the Packers were conservative they didn’t think of shaking things up in the organization. It wasn’t until Bob Harlan hired Ron Wolf that things started to change. The risk Ron Wolf took in hiring Mike Holmgren, and the risk they took on making Brett Favre their starting quarterback. 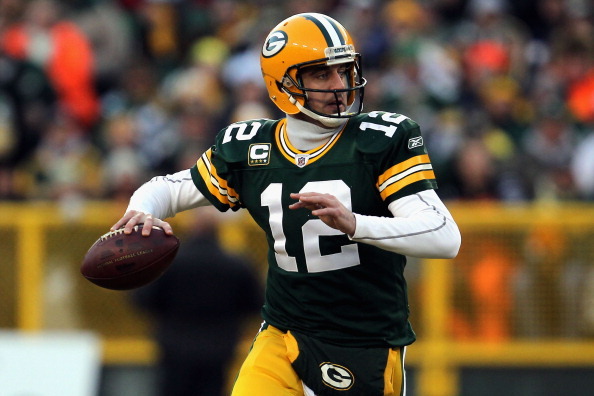 I believe the Packers needed to take the risk and let Rodgers play against Dallas. I guess the Packer organization believes there always next year, right?